New Delhi, the 17th January, 2019. Subject:- Implementation of the recommendations of 7th Central Pay Commission – Grant of Special Compensatory Allowances subsumed under Tough Location Allowance. The undersigned is directed to refer to this Department’s O.M. of even number dated 19th July, 2017 regarding grant of Special Compensatory Allowances subsumed under Tough Location Allowance consequent upon acceptance of the recommendations of the 7th Central Pay Commission. In this regard, in Annexure-1 to the O.M., where places/areas have been mentioned, Part ‘A’ SI. No. 4 — Jammu and Kashmir – “Illaqas of Padder and Niabat Nowgam in Kashmir Tehsil” under Doda District may be read as “Illaqas of Padder and Niabat Nowgam in Kishtwar Tehsil“. CLARIFICATION ON FACILITY OF CONCESSIONAL RETENTION OF GENERAL POOL RESIDENTIAL ACCOMMODATION AT THE LAST PLACE OF POSTING TO CENTRAL GOVERNMENT EMPLOYEES TRANSFERRED TO NER, SIKKIM, ANDAMAN & NICOBAR ISLANDS, LAKSHADWEEP AND THE STATE OF J&K. 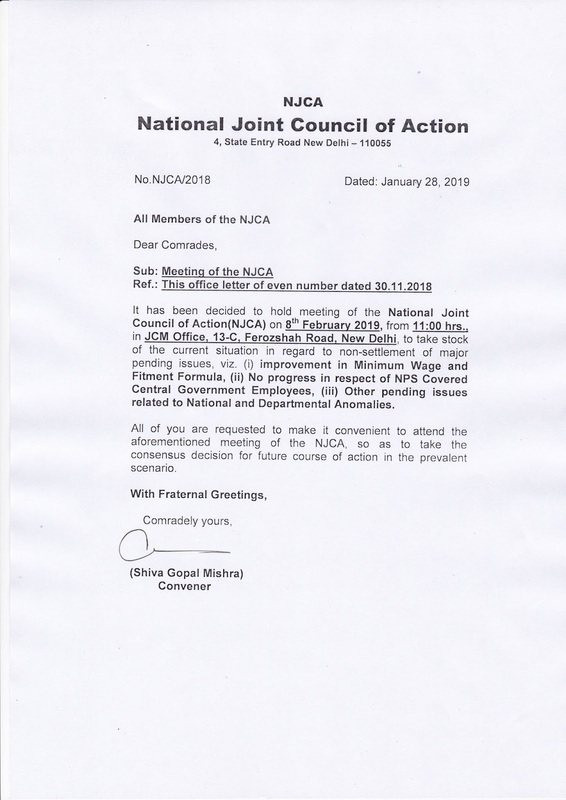 Subject: Clarification on facility of concessional retention of General Pool Residential Accommodation at the last place of posting to Central Government employees transferred to NER, Sikkim, Andaman & Nicobar Islands, Lakshadweep and the State of J&K. 2. 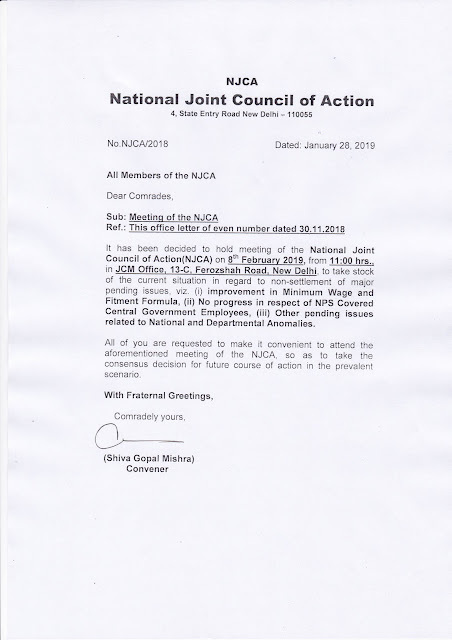 Various representations have since been received from officers who have joined NSG and SPG on deputation requesting for permitting them retention of GPRA for their families at their last place of posting i.e Delhi at par with other CAPF personnel keeping in view the nature of duty performed by them. The requests have been considered and it has been decided that CAPF personnel on deputation to NSG and SPG shall be extended the facility of retention of GPRA at the last place of posting for a maximum period of 3 years, as per the provision of Rule 43 of CGGPRA Rules, 2017, on their transfer to Non Family stations. Para 3 of O.M of even Number dated 10.4.2018 stands amended to this extent accordingly.